@WSOP Commentator @LonMcEachern does his @JasonMercier impression in today's @AnteUpMagazine Worlds $100,000 Guaranteed Action8. 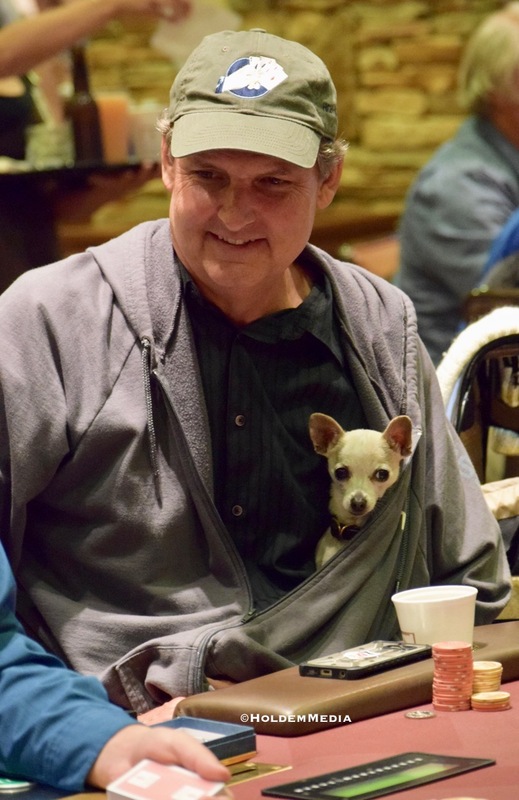 Mercier has his dog, Marshamellow, at many of the poker tournaments he plays, the dog at the table with him. Today, McEachern has his pup, Chachi, tucked in to his jacket with 4 tables left and $25,500 up top. Chachi declined comment on the types of hands Lon is playing today.